What better way to show your appreciation for the world’s best dad with a stay at the The Bentley, a sumptuous afternoon tea or lunch at our brasserie Peridot or a pampering treatment at Le Kalon Spa? The Bentley has put together some unforgettable Father’s Day gift ideas at our luxury Kensington hotel. Give your dad the ultimate gift this Father’s Day at The Bentley Hotel Kensington! Widely acclaimed as one of the grandest hotels in London, the Bentley hotel puts you in the heart of the city’s Kensington district with world-famous attractions only moments away. Deeply nourishing and intensely cleansing ritual which rejuvenates, releases toxins and stimulates circulation. Beginning with a Black soap cleanse whilst in the Hammam, before a vigorous full body traditional exfoliation with a Kessa Mitt and a fragranced mineral salt scrub. Then, the signature blend of melted Shea butter and your chosen fragranced body oil is drizzled across the body for a deep-relaxation massage sending you into a dream-like world. Using La Sultane’s rich, signature blend of warm oil and melted Shea butter, the warm mixture is gently drizzled over the entire body and an intensive muscle melting massage is performed using deep massage moves and flowing techniques to offer deep relaxation and relieve tension leaving your muscles soothed and mind and body relaxed. This is a wonderful back treatment to thoroughly cleanse and exfoliate the back. Black soap with Eucalyptus is used for a traditional, deep-cleanse exfoliation – packed with vitamins to nourish the skin whilst the antiseptic property of the Eucalyptus clears the pores. Finishing with a tension-relieving massage to soothe the muscles. Le Kalon Spa gift vouchers are also available on request. What do you get a father with a kid as great as you? Peridot Restaurant at The Bentley London Hotel has prepared a special treat for Father’s Day. Another way of putting smile on your Dad’s face. 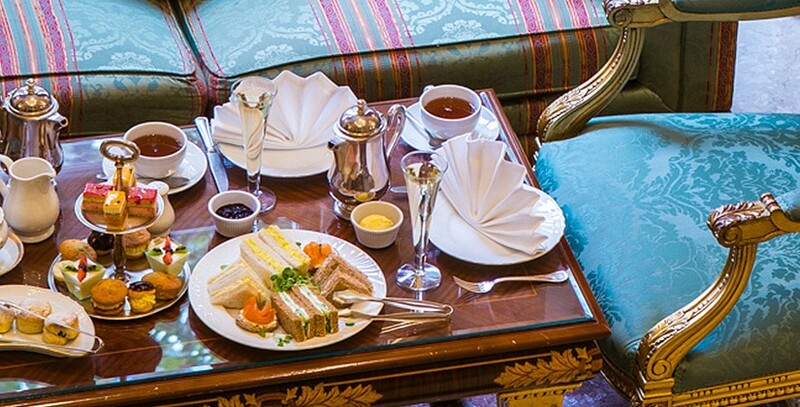 Enjoy a lovely afternoon tea during Father’s Day. Take the kids out for a treat of afternoon tea at The Bentley London, a lovely way of getting the family together! Indulge in a delicious spread of sandwiches and pastries, sipping tea or hot chocolate and Champagne for the adults.